The Mountaineering Review: Review of "Dark Summit"
In spring 1996, over ten climbers died in a storm while climbing Mt. Everest, including the accomplished leaders of two commercial expeditions, Rob Hall and Scott Fischer. The story of that terrible season was told, not without controversy, by Jon Krakauer in his best-selling book Into Thin Air. In spring 2006, over ten climbers again died climbing Mt. Everest, but this time in relatively fine weather. 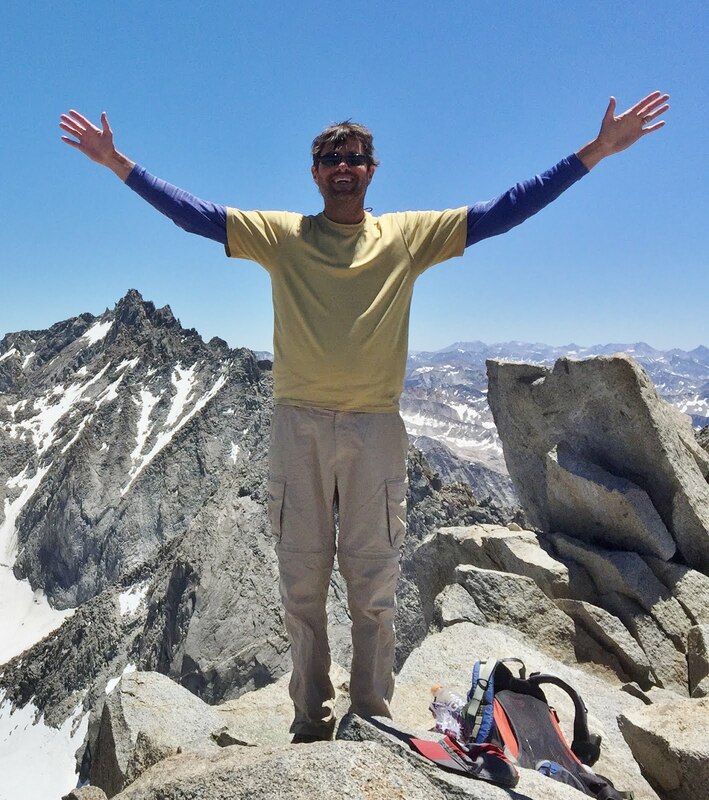 Nick Heil explains what went wrong in his book Dark Summit: The True Story of Mt. Everest's Most Controversial Season, published in 2008. Though most of the action in 1996 took place on the south side of Mt. Everest, it was the north side that stole the show in 2006. There are two main reasons why climbing from the north side became more popular. First, the standard route on the south side passes through the extremely dangerous Khumbu Icefall, which is located immediately above base camp. In order to establish higher camps and acclimatize, climbers are required to play Russian roulette with the precariously balanced ice blocks in the aptly named Icefall many times over the course of an expedition. Dozens of climbers have died in the Icefall. However, there is nothing akin to the Khumbu Icefall on the north side. Second, the permit fees on the northern Chinese side are significantly lower than those on the southern Nepalese side. After 1996, new commercial operators took root on the north side of Mt. Everest, most notably Himalayan Experience (a.k.a. Himex), run by Russell Brice. 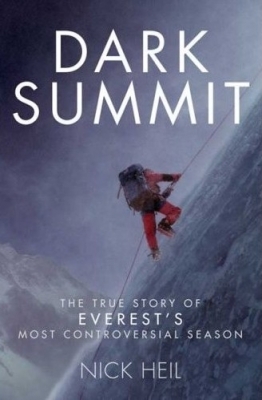 Dark Summit is in part a biography of this major player on the world's highest mountain. The achievement that catapulted Brice into the ranks of elite climbers was the first traverse, along with Harry Taylor, of the notorious pinnacles on the northeast ridge of Mt. Everest. Though they were unable to follow the relatively easy ground above the pinnacles all the way to the summit, they had negotiated terrain that killed two of the world's foremost alpinists, Peter Boardman and Joe Tasker. Now, almost two decades after his groundbreaking traverse of the pinnacles, Brice was making a living guiding clients up the easier section of the northeast ridge above the pinnacles. The world was horrified to learn that on May 15, 2006, roughly forty climbers walked by David Sharp on their way to the summit as he lay dying in the snow. Hearing that Brice had told his guides and clients to let Sharp die, much of the world was outraged. But of course, the story is much more complicated than that, and it is a merit of Heil's book that he carefully and thoroughly describes that complexity. Once that complexity is understood, one gets the sense that fingers were pointed at Brice not because he was guilty, but because aside from Mt. Everest, he was simply the biggest thing around. For anyone interested in Mt. Everest, especially the recent commercialization thereof, this is a must read. The descriptions and analyses of the various fatalities in 2006 are illuminating, and the biographical sketch of Brice is, for me, the most engaging part of the book. The book is well-written and the opining is kept at reasonable level. The author's professionalism is evident throughout the book, as is his passion for the topic. Addendum: Interestingly, the following note now appears on the Himex website: "As we are unable to get guaranteed access to Tibet, Himalayan Experience is currently not operating expeditions to Everest North Side. Our alternative is Everest South Side." Another outstanding book in this genre is High Crimes: The Fate of Everest in an Age of Greed, written by Michael Kodas and published in 2008. Though it has been a year since I read this book, what I remember most is the sustained and shocking harangue against George Dijmarescu (9-time Everest summitter) and the guiding company that his Sherpa wife nominally leads. Shame George Dijmarescu wasn't left for dead on K2, the mountaineering world would have been a safer place. Horrible creature that one - would sell his daughter for a profit. Thanks for the review. I just finished K2: Life and Death on the World's Most Dangerous Mountain and was looking for something else to read, I've found a couple good recommendations in here. :) I agreed with your analysis of High Crimes as well. Sweet blog. George Dijmarescu may find the sharp end of an ice-axe buried in his skull someday. A Successful Winter Ascent of Mt. Williamson?